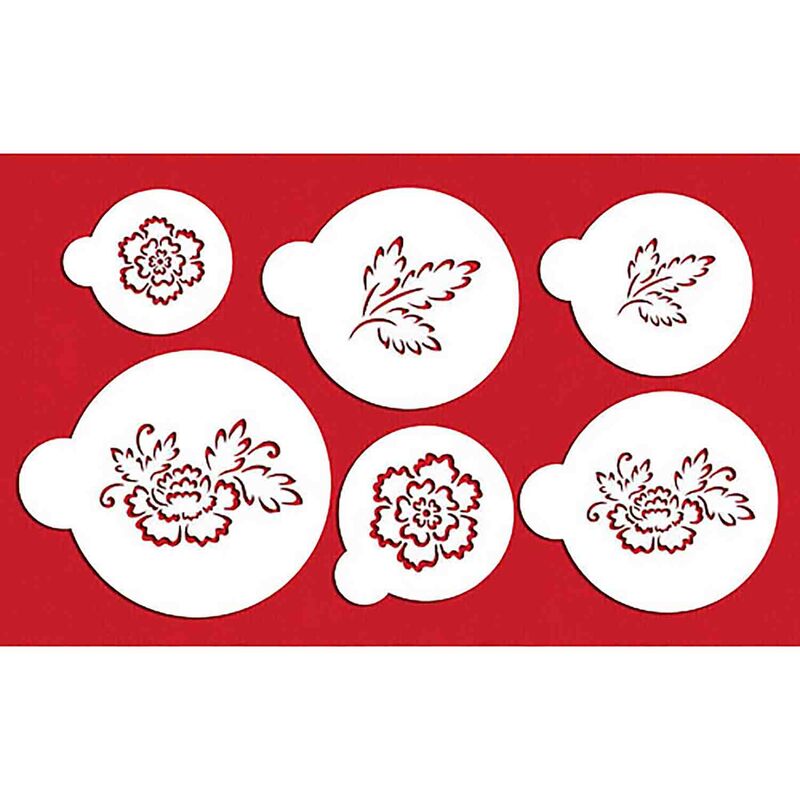 1⅞" diameter Create beautiful brush embroidery flowers with this stencil set. These stencils can be used with royal icing, fondant, buttercream, chocolate or any spreadable material. 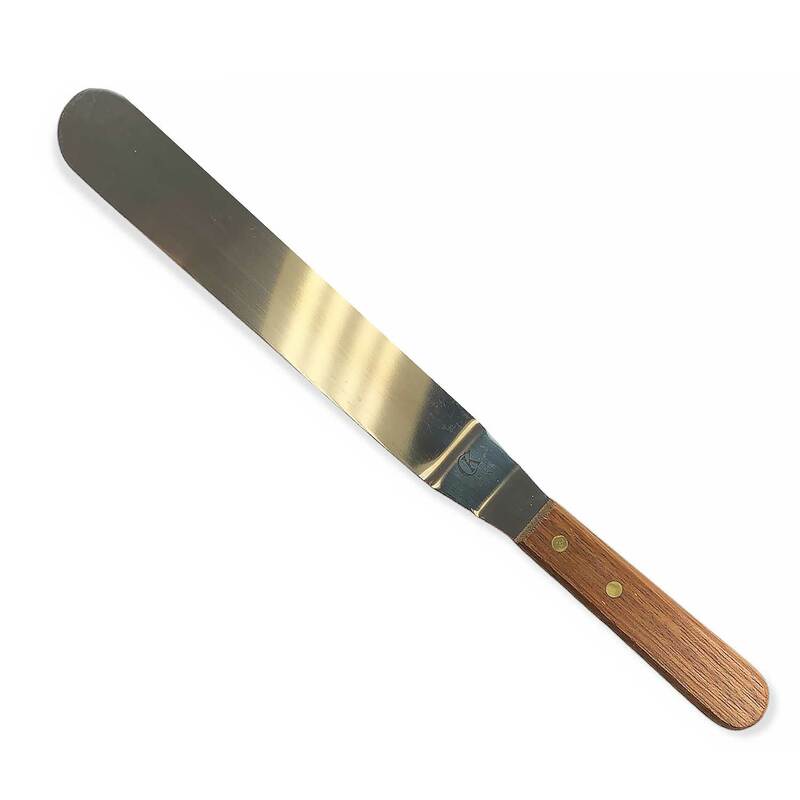 They can be used on top of any cake surface that isn't wet.The best surfaces are rolled fondant, royal icing and pastillage. Stencils can be also used for decorations on petit fours, cookies, mints, chocolates and other confectionery items. Complete directions on package. 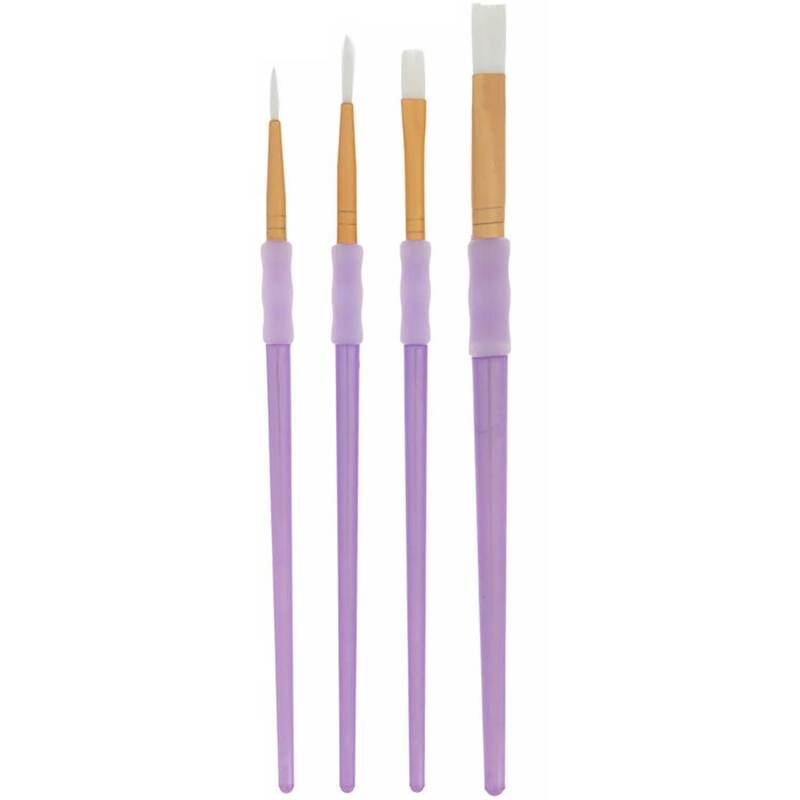 Create beautiful brush embroidery flowers with this stencil set. These stencils can be used with royal icing, fondant, buttercream, chocolate or any spreadable material. They can be used on top of any cake surface that isn't wet.The best surfaces are rolled fondant, royal icing and pastillage. Stencils can be also used for decorations on petit fours, cookies, mints, chocolates and other confectionery items. Complete directions on package.